The current challenge at Tuesday Throwdown is For A Cause. I love donating my cards to good causes. 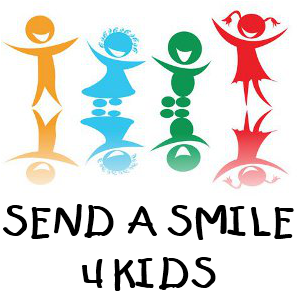 I am one of many volunteer shippers for Send A Smile 4 Kids and collect donated cards from generous card makers all across our country to send to three hospitals for inpatient children who are seriously ill. I just recently started sending cards to the Vets in Pennsylvania Veterans Homes. I donate cards to a local nursing home at Christmas and also to my church for widows/widowers for Valentine’s Day. The card I am sharing today will be going to my childhood friend Peggy who was recently diagnosed with breast cancer — cancer in both breasts different kinds of cancer in each breast. Good news is the PET scan was clear. On a side note – if you can’t remember when to get your mammagram choose to do it for your birthday each year and you won’t forget. I used Simon Says Stamp Spring Flowers heat embossed with Ranger white detail embossing powder adhered to a Kraft cardbase and colored with Copics. Thinking of You Dies and Stamp are from Casual Fridays.